Should You Try the Star’s Latest Trend? Does the Baby Food Diet really work? Well, let’s check it out. Many magazines have linked this diet to celebrities such as Jennifer Aniston, Lady Gaga, Gwyneth Paltrow, Madonna and many more. This quick weight loss diet seems to be creating quite a buzz. But does it work and just how safe is it are the questions being asked. Apparently this diet was around in the mid eighties, but today its popularity is being linked to celebrity trainer, Tracy Anderson. The Baby Food Diet - How Does it Work? This Diet is actually quite simple. It substitutes all meals and snacks throughout the day with baby food with the exception of one regular well balanced meal for the day (usually supper). Most people do the diet for a one week period. 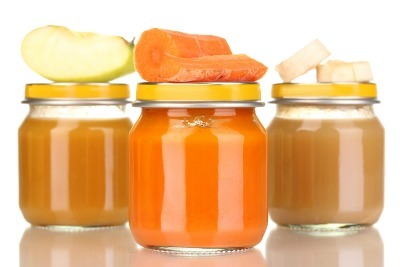 Every day you can consume 14 servings (each 4 oz) of baby food or your own homemade pureed version. Try to eat a wide variety of pureed fruits and vegetables to help increase nutritional intake. There is a plethora of baby foods to choose from and many are even organic. Then enjoy any well balanced meal for supper such as a portion of steamed fish with a side of fresh salad and perhaps some vegetables (not pureed, hurray). To popular knowledge this diet has never actually been published so it lacks detail in certain areas. It doesn’t really outline exactly what you can or cannot eat for that one regular meal of the day, it just says keep it well balanced. Here is another pickle. The calorie intake for the Baby Food diet can only be precise if you know how many calories your one regular meal for the day contains. Say 14 serving of baby food at 80 calories a serving. That part is easy, but now we have to add in the calories we consume with our meal choice of the day. So choose wisely to keep the calories low to help compliment the rest of the diet. You don’t want all your efforts to go to waste. It also doesn’t cover what beverages you can consume while on the diet. Some versions of the diet suggest drinking only water while others offer water, black tea and black coffee, all which contain practically no calories. Since most of the food you are consuming throughout the day is healthy pureed fruits and vegetables you are actually giving your body a rest. It helps do a little body cleanse or internal housekeeping as I like to call it. It gives your digestive system a break by not having to digest solid foods. This is similar to the food combining concept. When you minimize digestion times this gives the body a chance to boost liver function which also helps detox the body. It is known that improved liver function is directly related to successful weight loss. You can purchase baby food for the convenience. But if you prefer you can make your own by cooking and blending fruits and veggies of your choice. Just as with quality baby foods you do not want to add any salt or sugar to the blend, just keep it all natural. Since you can control the calories it is no wonder that most people can lose between 5 -7 pounds during the week. Remember what baby food taste like? If not you soon will. The taste can be quite bland but the texture is a whole other story. I myself don’t particularly like the texture of mashed up fruits and veggies, it’s quite the turn off (for me). With the celebrity baby food diet you are not eating any raw foods throughout the day with the exception of supper and that is only if you include raw veggies or salad. For this reason taking digestive enzymes would be a great addition to this diet. This is because cooking foods can destroy some of the enzymes which help digestion. There are many who find this diet difficult and extremely inconvenient. You have to eat a serving of baby food pretty much every hour. That means you have to carry your meals with you when you’re not at home. Some people find it embarrassing to be eating pureed foods. Both diarrhea and constipation have been reported to occur in some cases. It all depends on how your body reacts. If you don’t mind eating pureed foods for the week and all the other inconveniences that go along with it you can definitely lose a few pounds. As with any weight loss program, if you experience any kind of negative side effect stop the program immediately.